John Nuttall and Amanda Korody will be set free after a B.C. Supreme Court judge entered a stay of proceedings in their terror plot entrapment case, overturning their convictions. Both were facing a sentence of life in prison. Justice Catherine Bruce said police went too far and used trickery and subterfuge to manipulate the pair. She ruled the two did not have the mental capacity to have planned and carried out the plot themselves. Bruce described Nuttall and Korody as "frightened" and "marginalized," and said the RCMP used that to their advantage, aiding and abetting the pair, and going to "enormous effort" to get them to carry out the plan. John Nuttall and Amanda Korody are shown in a still image taken from RCMP undercover video. The RCMP spent just over $911,000 in overtime pay alone over the course of a five-month undercover operation that led to the arrests of two terrorism suspects in British Columbia. Documents obtained by The Canadian Press through a freedom-of-information request show the Mounties paid at least 200 people, mostly police officers, $911,090.54 for overtime work during the investigation, which was code named Project Souvenir. The Vancouver Police Department was given $92,397, though it's unclear how that money was divided. The overall cost of the operation was not provided. 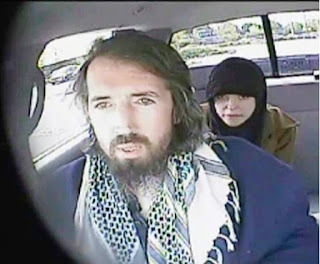 Recovering addicts and recent converts to Islam living in a Metro Vancouver basement suite, the common-law couple were entrapped by the RCMP, who preyed upon their vulnerabilities, which included daily doses of methadone, their lawyers say. 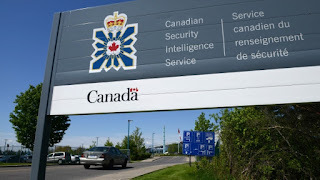 The trial became a shredding machine for the country’s open-court principles due to a CSIS agent provocateur who may have been at work in the months before the RCMP launched Operation Souvenir against the couple. In 2012, Surrey RCMP dealt with Nuttall as a nuisance with mental health issues. By 2013, he had somehow become a serious and imminent threat to national security requiring very expensive CSIS and RCMP operations.